Professional non-profit & association website design, responsive, and mobile friendly. Reaching and retaining users across a spectrum of devices is challenging. Our responsive websites make it easy. All site features automatically scale based on the device your visitors are using. 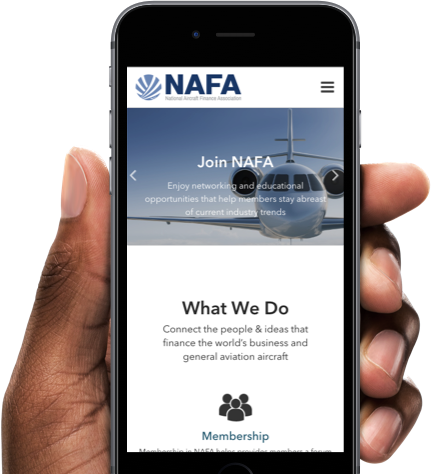 Sign-up, renewal, event registration, email communication, and more - all optimized for mobile users. SilkStart websites make it easy to connect with your members. Email invoices to your members and see them renew right away, or announce an event where members can buy tickets using their smartphones. It's easy with SilkStart. Not a tech wizard? No problem. Our easy-to-use website building tools help you create a fresh, modern site. Search engines prefer responsive websites. Score higher rankings on Google with a responsive site for your organization. Our forms scale elegantly creating a seamless experience for all of your users. Already have a responsive site? Integrate with any CMS including Wordpress, Squarespace, Drupal, and more.